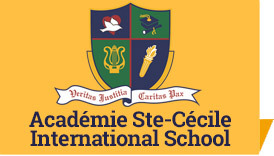 From its onset, Académie Ste-Cécile was destined to be a ‘labour of love’. ASC started with a vision to educate, support and prepare students of all ages to meet life’s challenges with confidence. Over the past 35 years, that vision has become a reality. From its modest beginnings, ASC has grown to become a family of schools. The project, which initially started as a music school, has expanded to four locations, featuring music and dance studios, a nursery/daycare and a preparatory school, as well as a day and residential elementary and secondary school. In September 2016, ASC began expanding once again with new facilities and programmes such as A+ Tutorial Services and the Holy Family Achievement School for students with certain learning exceptionalities. Embracing the principles of the Roman Catholic Church, ASC welcomes students of all faiths. While serving our local communities, ASC proudly promotes Windsor throughout the world and welcomes students from abroad. As it has been throughout our history, the success of ASC depends not only on the commitment of a dedicated staff to whom I offer my sincerest gratitude but also to the patrons who have entrusted us with the aspirations for their families. Whether you are currently enrolled in one or more of our schools or whether you are considering enrolling with us, the ASC staff would be pleased to hear from you. We would be honoured to assist you in accomplishing your family’s educational and cultural goals. Our teachers and staff strive to follow the school’s motto: “Seek truth, justice, love and peace”. We look forward to you joining us as together we develop the skills and talents of our future leaders. 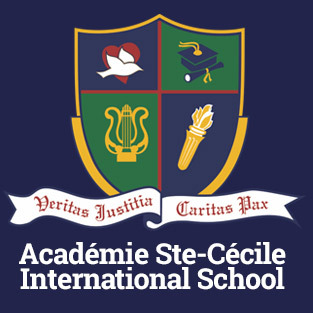 Mlle Gadoury is the Directrice and Founder of Académie Ste Cécile. Born and raised in Windsor, Ontario, Mlle Gadoury attended French primary and secondary schools of the Windsor Roman Catholic Separate School Board. An accomplished organist and soprano, she holds an Associate Diploma (Gold Medalist) and a B.A. in Honours Music from the University of Western Ontario and an Artist Diploma from the University of Toronto. She also holds an LL.B. from the University of Windsor and a J.D. from the University of Detroit. Mlle Gadoury became a member of the Law Society of Upper Canada in 1992. In November of 2000, Mlle Gadoury was recognized by Pope John Paul II for representing The Holy See at a recent meeting of the Organization of the American States. In 2016, Western University has honoured Miss Gadoury by naming her to the Don Wright Faculty of Music Wall of Fame. Having taken her vows under Most Reverend Bishop John Michael Sherlock in June, 1986, Mlle Gadoury is a “consecrated woman, living in the world”.